I will never forget meeting Carliane Johnson for the first time. It was on the shores of Hanalei Bay, shortly after I finished The Singlehanded Transpac in July, 2016. Though we had been briefly connected via email prior to this, we had never met face to face until that moment. Her greeting was a huge hug. It was a warm and supportive welcome that this weary traveler definitely appreciated more than she knew. I could feel enthusiasm and support oozing out of her and her hug felt like it was an extension of that! I will always be grateful for that fateful moment. Fast forward 8 months, and Carliane and I are becoming fast friends and scheming ways to get more women to race in the 2018 Singlehanded Transpac (SHTP). We are both committed to doing the race, and are determined to cross the starting line with more strong women sailors by our side. On a recent visit to San Francisco, Carliane was kind enough to invite me out for a sail on her beautiful Vessel, Kynntana. Kynntana is a 1988 Freedom 38. Carliane has been her steward for the past four years, and since then has been dialing her in to be the perfect companion for her solo sailing races and adventures. Currently, she is in the midst of the very familiar and seemingly never-ending process of readying Kynntana and herself for the 2018 Singlehanded Transpac. When I stepped aboard her beautiful vessel, I immediately appreciated her well thought out set up. If this had been a few years ago, I might not have noticed the nuances of her layout, but since readying my own boat for similar endeavors, my eye is trained very differently! I think I have officially become a sailing nerd! Carliane handled Kynntana perfectly as we left the dock and headed out the estuary towards the bay. She really earned my respect when she expertly and calmly backed onto a side tie at the fuel dock with tides and winds working heartily against her. I said to myself, “now this woman is a badass”! I was thrilled to have a chance to witness her in her element as she oh-so-comfortably and confidently handled her vessel and all it took to get us sailing across the bay. From where I sat, I could see that Carliane and Kynntana are definitely one, which of course is a relationship to which I can relate very deeply. On our way, I was able to grab a few shots as well as ask Carliane some questions about her life as a sailor. Unless you count a sailing adventure-slash-debacle that she and her brother had in France (Carliane’s mom is French) when they were kids, which involved renting a little boat in the Mediterranean with no sailing experience, or command of the French language and sailing out to sea and by some miracle making it back unscathed), Carliane started sailing as an adult. Though she had been on the water (mostly powerboats) most of her life growing up in Florida, sailing didn’t enter the picture until she was in her early forties and living on the East Coast. She says that she tried a couple of times before that, but thought it was pretty boring. Until she became crew on the sailboat of an experienced sailor who took her under his wing, she did not fully get the sailing bug. Carliane purchased Kynntana when she was 47. She named her boat after her mother, who used Kyntanna as her stage name when she was a circus performer. Carliane christened her boat Kynntana as a way to pay respect to her mother for following her dreams. Of course this felt so meaningful to me, since I could relate to her homage (my Haunani was named after my beautiful mother). 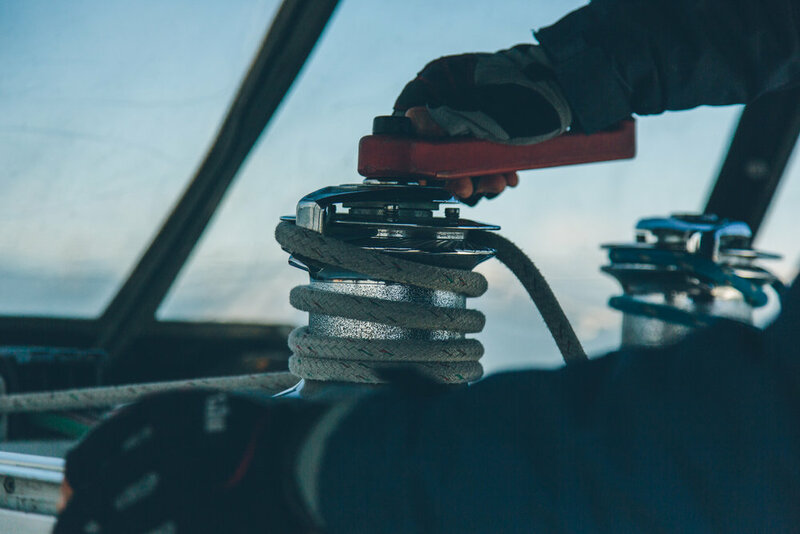 It is apparent that Carliane has put a lot of love into her vessel, and also makes it her priority to be very informed and capable in handling every aspect of the boat from rigging to maintenance to repair. She says that as she got started with boat ownership, she educated herself by reading everything she could get her hands on about sailboats and their systems, and asked a lot of questions of the sailors around her. I can appreciate her dedication, for as single people owning boats on our own, the buck stops with us (some of us, like me, learn this the hard way). She inspires me to be more hands on and less intimidated by my boat’s systems (especially electrical). I remember a comment she made once on a Facebook group to which we both belong, offering advice to a first time solo boat owner. In a nutshell she urged this woman to take the initiative to thoroughly learn all about her boat top to bottom, including how to troubleshoot and repair everything. I have to say that this has been one of my challenges as a single boat owner. I have at times relied on others too much to take care of problems for me rather than figuring it out myself. My trip across the Pacific cured me of this, and I am grateful to Carliane for the reminder and the example she sets to this end! My hat is off to Carliane for becoming such an informed and proficient boat owner and sailor in such a short time. 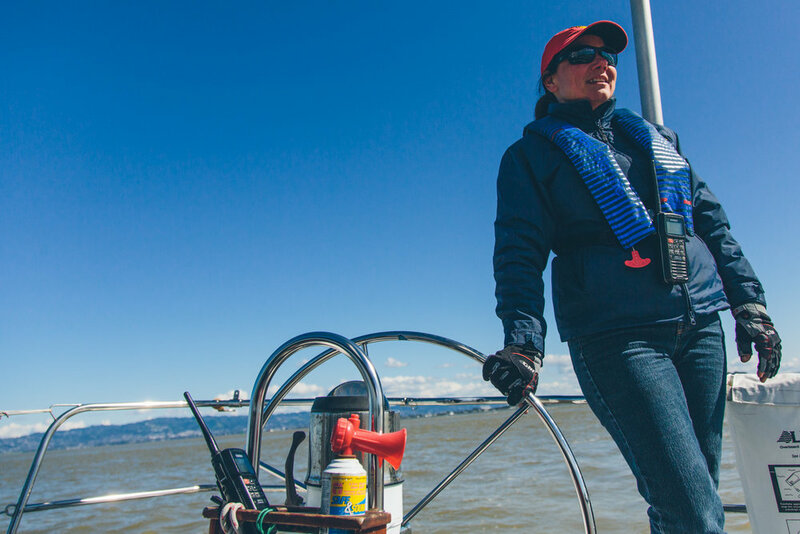 Many people feel intimidated to learn something as complex as sailing in their adult years, and Carliane's path is wonderful proof that it is more than possible. 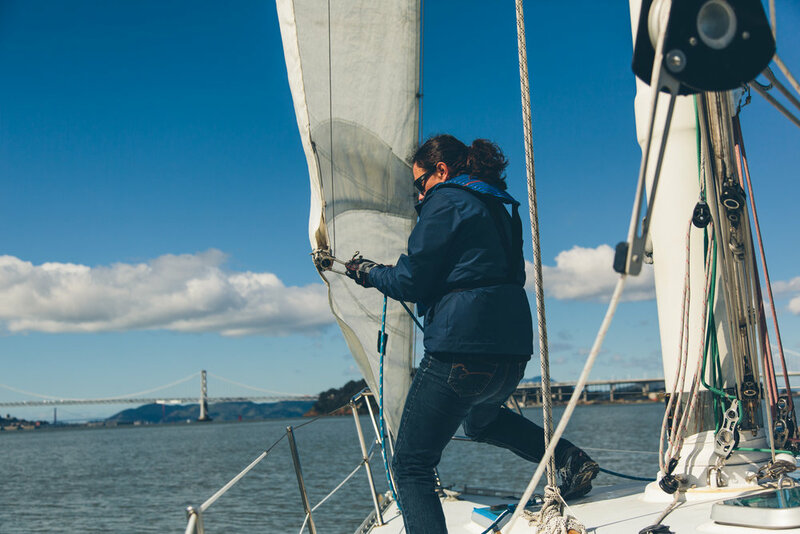 She is not only a competent and safe sailor, but she is an excellent racer who is making her mark in the San Francisco bay both single and double handing Kyntanna. Our boats are very similar, and I think I better step up my game, because I suspect she and I are going to have a healthy battle across the pacific in 2018. I cannot think of a more inspiring or worthy co-competitor! My favorite question that I love to ask solo sailors is “why do you like to sail alone”? Carliane’s answer was close to my heart. 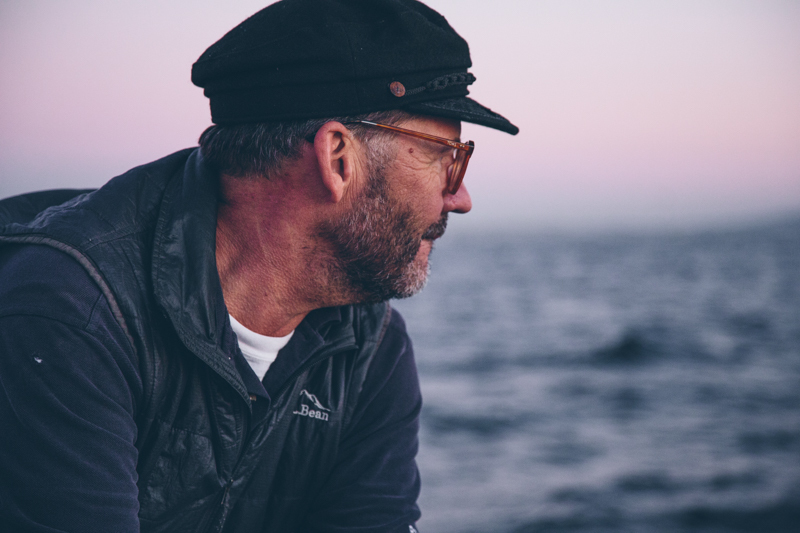 She said: “I love sailing with friends and family, but I particularly enjoy sailing alone because my senses are alive in a way they are not when there are others onboard…there’s a heightened sense of awareness, which feels muted when others are onboard”. I had never thought of that word, “muted” to describe the effect of others’ energy on my experience, but it resonates deeply with me when I think of how truly alive and tuned in I am when I am alone on a boat. Like Carliane, I love having my friends and family aboard, but I need a healthy dose of alone time out there to access that sense of pure connection and awareness of which she speaks. It seems it is one reason we share in wanting to sail out across the Pacific alone! Carliane says she wants to do the SHTP not only for the above reasons, but to push herself as an offshore racer, and also to hone her skills at sea for future racing and cruising adventures. She feels that setting off across sea alone will be a proving ground as to how ready she will be to set out cruising on a longer voyage(s) in the future, either with or without others onboard. As we speak Carliane is preparing herself and her vessel for our July 2018 departure to Hawaii. She says that her prep involves keeping herself fit by kayaking, rowing and swimming, as well as participating in as many offshore races as possible. She continues to prepare her boat (the never ending list), but has already upgraded the electronics, autopilot, running rigging and has added a folding prop. I look forward to knowing Carliane for a long time, and especially to sharing in our upcoming big adventure, the 2018 Singlehanded Transpac! Thank you Carliane! Your existence as a brave sailor who is always pushing yourself to learn and grow inspires me to no end (not to mention I want to be a badass docker like you when I grow up :-)! 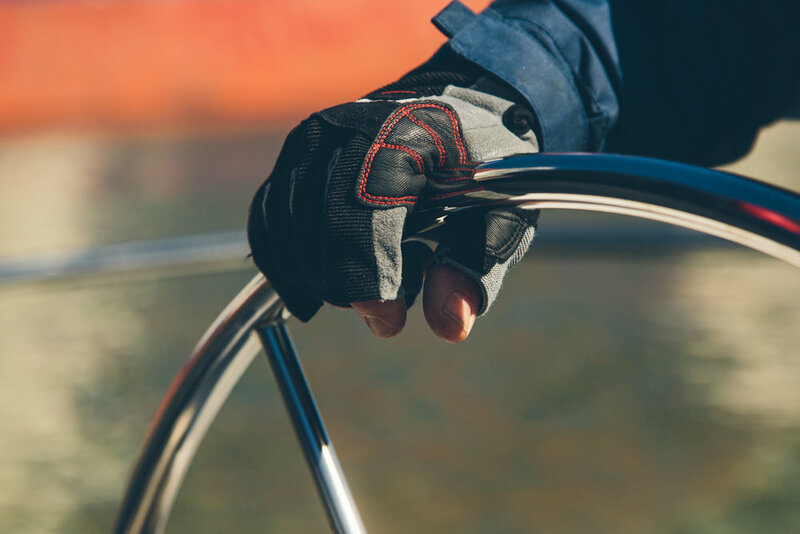 This is the beginning of a series of interviews that will serve to inspire us all by sharing the wisdom and experiences of singlehanded sailors that I admire. 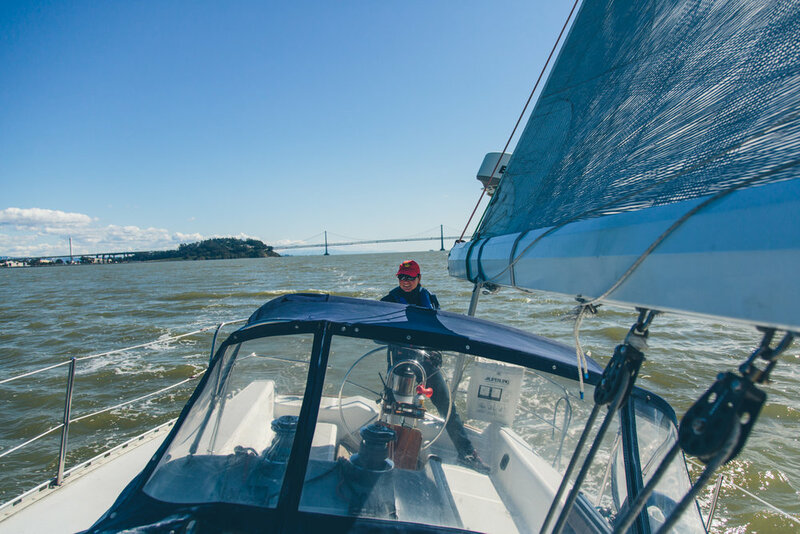 Last night I had the privilege of sailing with Rod Percival aboard his 1985 Contessa 33, “Rubicon III.” I met Rod through the club I recently joined, Pacific Single Handed Sailing Association (PSSA), where he is a long-time member. Rod is a veteran single-handed sailor and racer, having logged more than 12,000 hours racing over the last 37 years. He also has had his fair share of racing wins in the challenging PSSA races here in Southern California. It was a pleasure to get to spend an evening sailing with him. I arrived at his dock at 4pm, and with little light remaining in the day, we made a speedy departure from the dock. Well, I should say, HE made a speedy departure from the dock, because besides removing the mainsail cover, I had nothing to do with the process. He efficiently and effortlessly maneuvered around his boat preparing, and within minutes we were heading out of the marina. He was politely apologetic about not being great at delegating due to the fact that he mostly sails alone. I, of course, understood this perfectly and assured him that no apology was needed. I actually really enjoyed observing another single-handed sailor’s preparation and process. It was similar to my own process, except for the differences in our boats. As we headed out into the golden pre-sunset light, Rod shared his long history of sailing, which started in his native Western Australia. Rod grew up in Perth, and says that sailing was basically the norm there. His father was a sailor, therefore, he and his brothers were steeped in it from a young age. His dad built them a Pelican sailing dinghy when Rod was a young teen, and he and his brother had much success racing her in local races. From there, he started crewing aboard local racing boats, and his knowledge about and passion for sailing and racing accelerated. When he was a young man, he and one of his brothers bought a cruising boat, fixed her up and headed out on some adventures together. His brother moved on to other things, but Rod stuck it out aboard the trusty cruiser and embarked on a big trip from Freemantle to Greece across the Indian Ocean. It was on this trip that he reports having one of his most awe-inspiring sailing experiences. Armed with nothing but a sextant, he successfully made it to the Cocos Keeling Islands and beyond. He says that making landfall for the first time on that voyage, at the exact location he predicted he would, was an incredible moment for him. I think that in our modern days of GPS navigation, it is easy to take a feat like this for granted. Rod also shared one of his most terrifying moments at sea. It was aboard a racing boat off Cape Leuwin, Western Australia. The crew was very experienced, thank God, but that didn’t stop them from being overcome by quickly building 30+knot winds. The winds were so intense and built so quickly that their mast broke. Thankfully no one was hurt and they were able to recover their rig and drift downwind to safety. Rod moved to LA 30 years ago and began racing with PSSA in 1994. 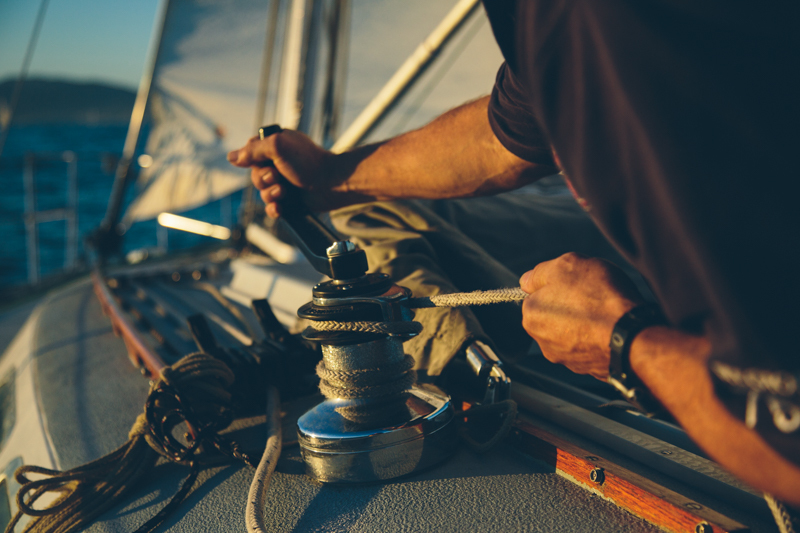 He says that his favorite part of sailing alone is the “mental gymnastics” that one has to perform in order to stay safe and be effective on the water. I, of course, had to ask what wisdom he would share with someone like me, who is getting more serious about single-handed sailing and racing. His first words of advice were to plan ahead as much as possible, to go through everything in my mind a few times before I actually do it. This includes everything from planning and reviewing my route, to sail changes (based on predicted weather), to my procedures aboard the boat. He stressed the importance of always staying in control of one’s boat by staying one step ahead if possible. The best example of this is what so many others consistently remind me: to reduce sail early. My biggest take-away from being with Rod and observing him handling his boat, was the importance of being calm and calculated. He never moved with haste, but that’s not to say he wasn’t efficient, he just never rushed. I could almost see his thought process unfolding as he moved around his boat and methodically performed all of the necessary tasks. Everything from dealing with a jammed jib halyard, to setting and dousing his spinnaker, was smooth and efficient. It was inspiring to me, and reminded me of the importance of staying centered. I have a lot of gratitude for Rod and other single-handed sailors who set the example for sailors like me, showing us that not only is all this possible, but it is also enjoyable! It is also comforting for me to know that there are other people out there who love this kind of "crazy" thing as much as I do! We had a beautiful sail in light, but steady winds. The evening light was magical, and the sunset was one of those golden, dripping-into-the-horizon, California winter shows. As it grew darker, that seemingly unparalleled sight was quickly upstaged by a new moon on the horizon emerging out of the sun’s waning light. It was absolutely stunning! Many thanks to Rod and Rubicon III for hosting me and allowing me a glimpse into their special relationship. 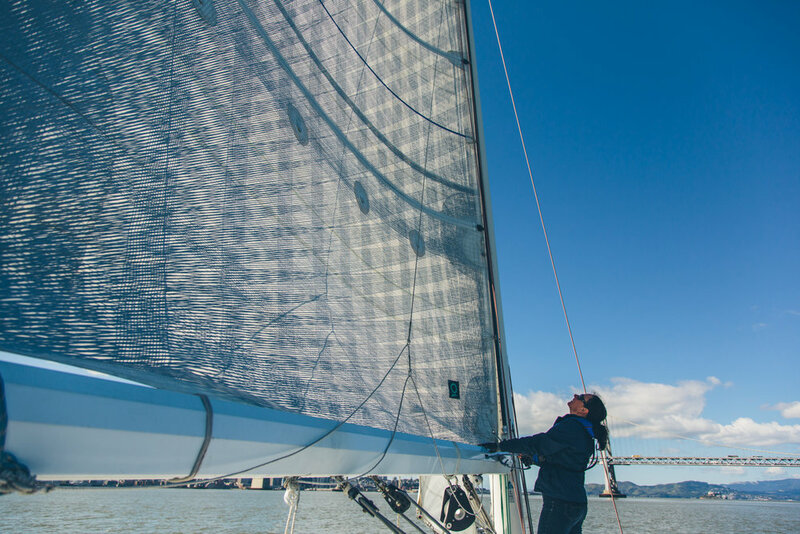 And also, for all you sailors reading this, Rod has designed and manufactures amazing lightweight sprits for many boats to aid in asymmetrical spinnaker flying. His motto is "ditch the pole". Please check his website out here!